What is Baglamukhi Mantra Anusthan or Purascharan? For baglamukhi mantra diksha and sadhana guidance email to sumitgirdharwal@yahoo.com or call on 9540674788, 9410030994 . Two types of sadhaka exist in this world. First one, who perform ritual (puja) to appease devi baglamukhi without any desires or purpose. Who is devoted to ma baglamukhi’s lotus feet. This type of anusthan or puja which is done only for ma is called nishkaam puja. Nishkaam sadhana is spiritual practice done for higher aims. It is done to achieve the aim of enlightenment or moksha. It is done for the spiritual upliftment of the individual so that he is taken out of the cycle of life and death. Second one is who performs baglamukhi pooja or anusthan only to fulfill his desires. Anusthan is must to get the baglamukhi mantra siddhi. 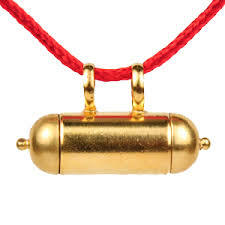 Mantra siddhi means getting the desired results or the purpose of the anusthan or puja is fulfilled. Most of the people falls in this category because of various problems in life. If Sadhak (aspirant) completes all the below steps then it is said that he/she has completed anusthan or purascharan of baglamukhi mantra. 1. Chant Baglamukhi mantra 1,25,000 times in 11, 21, 36, 40 days as per your convenience after taking baglamukhi mantra diksha from your guru. 2. Do yagya (homa) of Twelve thousand five hundred (12,500) mantras after completing the 1,25,000 japa. 3. Do Tarpan with One Thousand Two Hundred fifty (1250) mantras after yagya. 5. Offer food to 11 brahmins at the end and offer something to your guru and take blessings of your guru & parents. Sadhak needs to follow the below rules while doing baglamukhi anusthan. 1. Baglamukhi anusthan ( Baglamukhi puja ) can be done at home. Sadhak does not need to go any temple. 2. 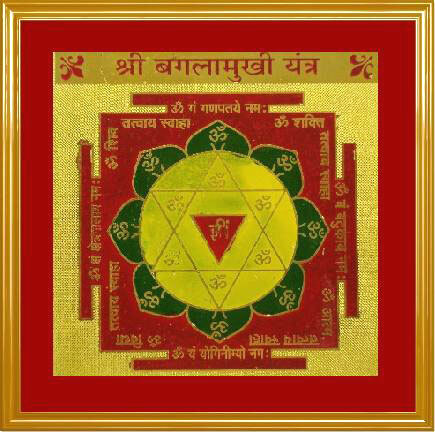 Place a baglamukhi photo & yantra at your puja temple. 3. Sadhak must do constant number of mantra jaap everyday. For example if you want to complete your anusthan in 40 days then 32 malas needs to be done everyday. In case in the beginning of anusthan if you are not able to do 32 malas then you can start with less number and then increase day by day. Numbers of malas can be increased but can not be decreased. 4. Haldi Mala ( Rosary of 108 beads which is made up of turmeric) should be used to chant baglamukhi mantra. A rosary has one hundred eight beads but only hundred mantras are counted. 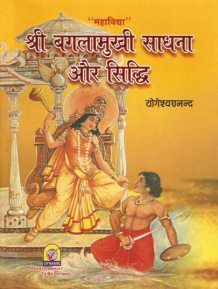 For example if sadhak completes 10 malas it means he/she has chanted 1000 mantras. 80 mantras will not be counted. So to complete 1,25,000 mantra japa sadhak has to do 1250 malas. 5. Sadhak should maintain the celibacy in anusthan period. 6. Sadhak must sit on yellow asana , must wear yellow clothes & should offer yellow sweets to ma baglamukhi. 8. Bhakti is the root of success in sadhana. If you are devoted to the lotus feet of ma then she will bless you with everything. There is no rule & regulation between Bhakt & Bhagwaan. Sometimes desired results are not achieved in single anusthan due to past karmas. One should continuously perform the puja or anusthan to get the results. This will first remove you past karmas and then give you the results. There are lots of people who can not perform this baglamukhi anusthan or baglamukhi puja themselves, they should ask someone to do this puja on their behalf. When someone performs this puja for you, you get the same results.